Tommy John Surgery for Matt Wieters? 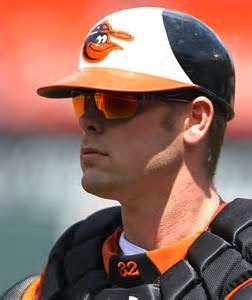 The Baltimore Orioles could be without their All-Star catcher Matt Wieters for the rest of the MLB season if Tommy John Surgery is required. This after just getting Manny Machado back. The Orioles and fantasy owners better hope he can avoid surgery! Wieters is off to a hot start, hitting .341 with 5 home runs and 18 RBI. The Orioles have Steve Clevenger behind Wieters on the depth chart.